Kickoff for the annual Spring Game is set for April 13 at 2:30 p.m. inside Spectrum Stadium. 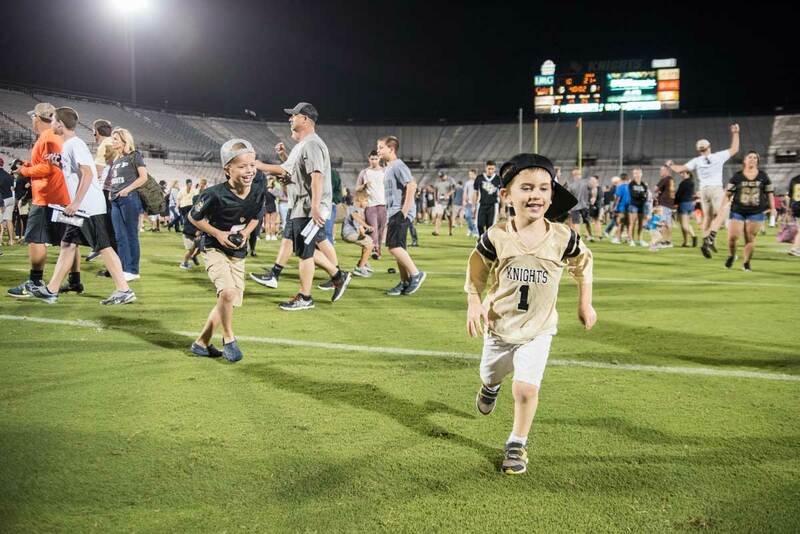 The UCF football team will play its annual spring game April 13 at 2:30 p.m. inside Spectrum Stadium, but there are plenty of activities for fans and families to enjoy on campus before kickoff. This article has all the information you need to know about tickets, parking, tailgating and other weekend events. General admission to the UCF Spring Game presented by DEX Imaging is free. Fans who do not have 2019 season tickets must to register to receive free general admission tickets to the Spring Game. For 2019 premium season ticket holders in the Carl Black & Gold Cabana, Stadium Club or Tower Club, there will be free access to their respective club area for the Spring Game. Please note, seats within those sections will be general admission and available on a first-come first-served basis. Tickets must have been printed or saved to a mobile device prior to April 1, 2019. Reservations for Memory Mall for alumni and students will open Sunday, April 7, at 6 p.m. To reserve your spot click here. 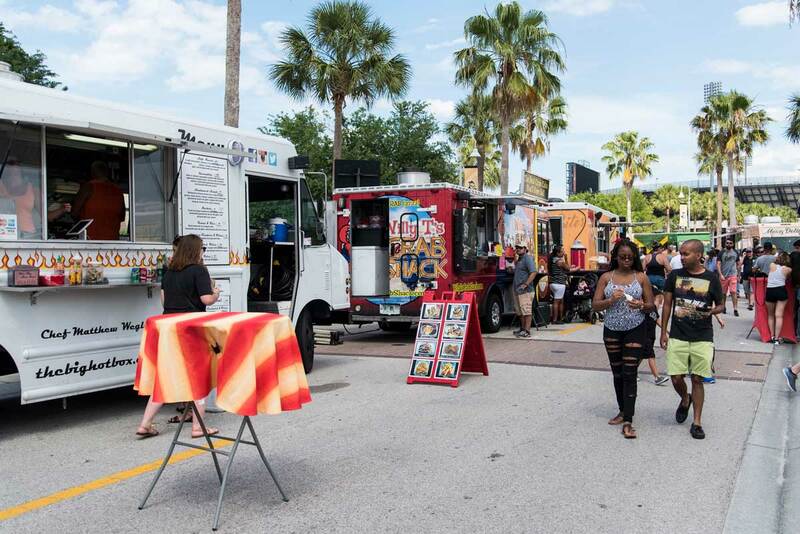 Student Health Services will host a Black, Gold and Sober Tailgate from 12:30 to 2: 30 p.m. in the Veterans Academic Resource Center, which is next to Addition Financial (formerly CFE) Arena. The family-friendly and alcohol-free event is open to all students and alumni. *Please note: there are two events in Addition Financial Arena on Saturday. Garage F will be a cash lot all day, while Garages D and H will begin collecting at 4 p.m. There will be plenty of giveaways, inflatable games and a teacup ride for fans to enjoy before heading into the stadium for the game. The Leonard Brothers Band will headline the Tailgate Concert Series presented by Pacifico at 12:30 p.m. on IOA Plaza. The clear-bag policy is effective for all sporting events at Spectrum Stadium. While fans are encouraged to not bring any bags, those that do can review the policy. 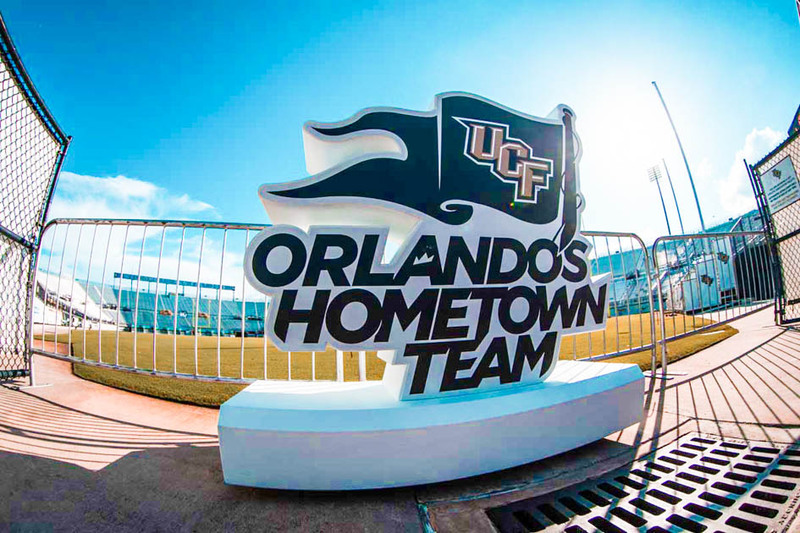 The Spring Game presented by DEX Imaging will kick off at 2:30 p.m. inside Spectrum Stadium for Knight Nation’s first look at what’s to come in the 2019 fall season. Fans will also have an opportunity to go onto the field after the game. The UCF softball team will take on USF in a War On I-4 Rivalry Series game Saturday at 12:30 p.m. The men’s and women’s soccer teams are also set for games on Saturday at the UCF Soccer Complex. A men’s and women’s soccer alumni game will kick things off at 10 a.m., followed by the women’s team’s matchup against Miami at noon before the men’s team’s match against Barry at 5 p.m.